I wouldn't and couldn't stop. In fact, I don't want to. I want to put my hands to as many cuisines from throughout the globe. Most probably because of this burning desire within me for learning to cook and these days, you can sit in front of your laptop and learn. So simple and so easy to learning and also picking up the vital tips to cooking. Of course, you can't do it in a jiffy. Instead, you have to put your heart and soul in firstly searching for recipes and then whether you are apt for copying exactly or allowing your thinking to wonder for coining your own dishes. So far I have achieved quite a good bit. The types of dishes I have made (Mongolian Prawns & Punjabi Sabut Moong Dal) from my own initiative and I must also thank the virtual world because admittedly, the food research in the virtual world did help. Moreover, when soups are a concern, should I, must I blow my own trumpet (Cambodian Sour Fish Soup, Chinese Vegetable Soup, Kashmiri Vegetable Soup, Korean Radish Soup & Japanese Lotus Root Soup)? No right right? Your reading action and reaction I think will unveil all of it? How did Moroccan Pea Soup on the hand come about in my kitchen (Old Cucumber Soup, Vegan Pumpkin Soup, Portuguese Potato Soup, Salted Fish Bone Soup, Onion Soup & Chinese Meatball Soup)? 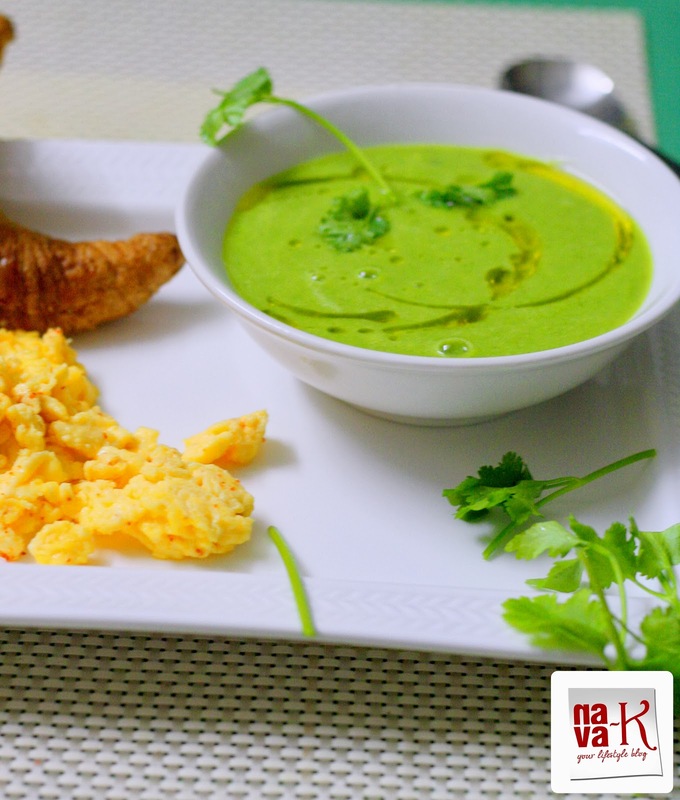 Honestly, to tell you the truth, believe me you, after making this green pea soup without referring to recipes, I decided to do some research and out popped up two . Oh-boy! What a food joy! Somewhat similar to my version green pea soup, but out of goodwill, I must mention the recipes (Morroccan Pea Soup & Moroccan Mint Pea Soup). Sort of as though falling in space, though I coined this Moroccan Green Pea Soup on my own (Moroccan Chicken Stew & Lentil Soup). 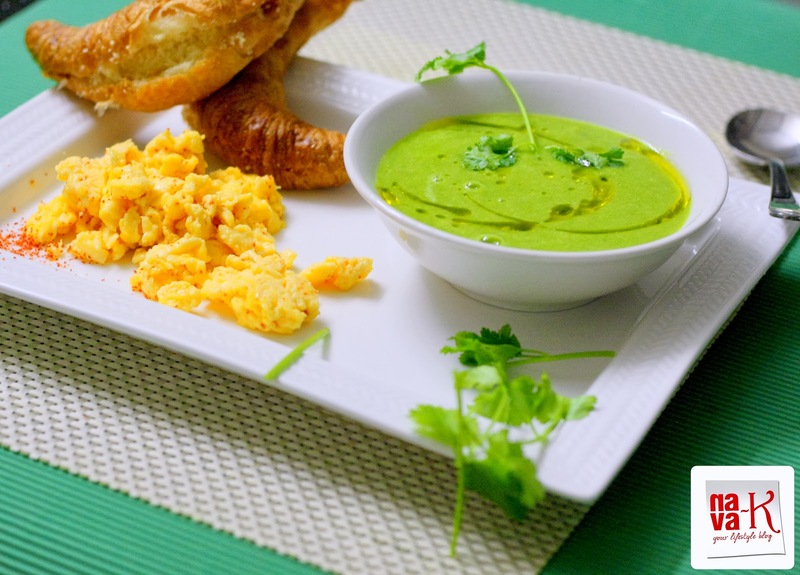 Moroccan Green Pea Soup. God! Thick, healthy and an attractive green to a mind blowing and mouth conquering deliciousness (Thai Tomato Soup & Creamy Mushroom Soup). 4 garlic - remove skin. Add the first 4 ingredients into a pot. Pour about 2 cups of water. Simmer and cook to soften all the ingredients. . Remove from heat, slightly cool down and blend/purée to a smooth purée. Pour milk/cream, season with cumin powder, pepper and salt. Drizzle olive oil and garnish with coriander leaves prior to tucking in. very healthy soup with nice clicks. 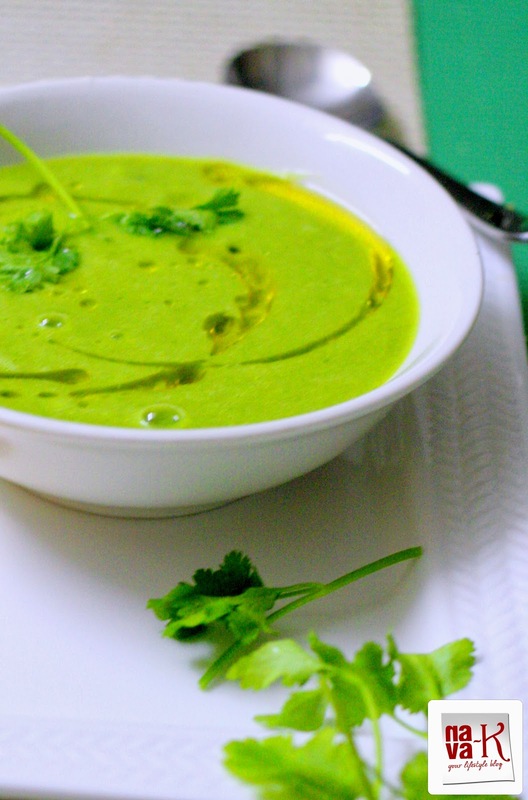 Loving the vibrant green color of this soup and the flavors sound delicious. Peas are in plenty here and I am going to make this soon for the family. Thanks for sharing. The colour cannot get more beautiful than this.Superb presentation and nice recipe. Love the look of your pea soup. We've been having a lot of peas but not so much in soup form. This has been on my mind for a while. And I love the idea of an intro but somehow have not really started my posts that way. You're doing great, Nava! It's a treat to read your posts. Linda sopa reconfortante y ademàs muy elegante,abrazos. Beautiful colorful, healthy and delicious soup.. Love your presentation..
Flavorful and healthy soup. looks inviting. Been following your blog for 1-2 years and I can see from month to month there is improvement. I like the way you write about normal things and link to recipes post. Oh god! What a colour!!! Cant able to take my eyes off from the big bowl of soup with vibrant colour. Perfect Photography. very comforting soup, love it!!! Colorful and easy to make soup. Never seen asuan style pea soup before, seems so sooth and comforting!!! great and fancy photographed too Nava!!! Wow! look at the colour...that is one reason why I like peas so much! And ginger garlic just makes everything so tasty. Hi Nava, your green pea soup look so appetizing. Love the beautiful green color. Thanks for sharing your recipe.